Disney Cruise Line Ranks Number One! 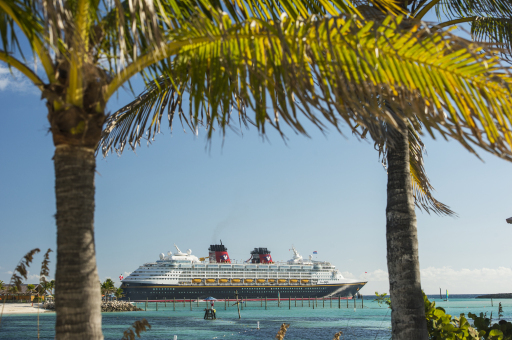 For the second year in a row, Disney Cruise Line has received the Top Mega-Ship Cruise Line award by Travel + Leisure readers in the magazine’s 2015 World’s Best Awards reader’s survey. The World’s Best Awards are selected by Travel + Leisure readers who participate in a survey and rate cruise lines based on several categories, including staterooms, service, itineraries, food, excursions, and value. The 2015 Survey named Disney Cruise Line No. 1 Top Mega-Cruise Line, and No. 1 Top Mega-Ship Cruise Line for Families. With all the magic that Disney brings to it’s parks, movies, and merchandise, it’s no surprise the Cruise Line ranks at the top! Disney Cruise Line has consistently received distinguished awards and recognition from the travel industry since it’s first sailing in 1998. These awards have included everything from dining and entertainment, to operations, spa facilities and more. Disney Cruise Line offers so much for Families, and even just Adults. There’s the marvelous Kids Clubs, fantastic signature dining, and let’s not forget the cruise line’s own private island Cast Away Cay! With Cruises to the Caribbean, Alaska, and now even Norway, there’s no better time to plan that get away! My name is Danielle Laroff. I am a Disney Specialist for the Disney Fashionista, and Chip and Company. I am also a Travel Agent with World of Magic Travel, the preferred agency used by Chip and the Disney Addicts. To set sail for adventure on a fabulous Disney Cruise, Email me today at [email protected] You can also visit my Facebook page, click here for more updates as well as lots of pictures and updates of the Parks and resorts. Disney Park Exclusive Pandora Charms Fall 2015 Preview Is Here! !